Today's theme ... flight. I spooked the ducks down on our pond and captured these six ducks as they took flight. nice shot. There is either something Escher-like in this photo or I am just tired and going blind....I had to look at it full-size to see which way they were flying. It looks like it can be one of those eye-trick puzzles. 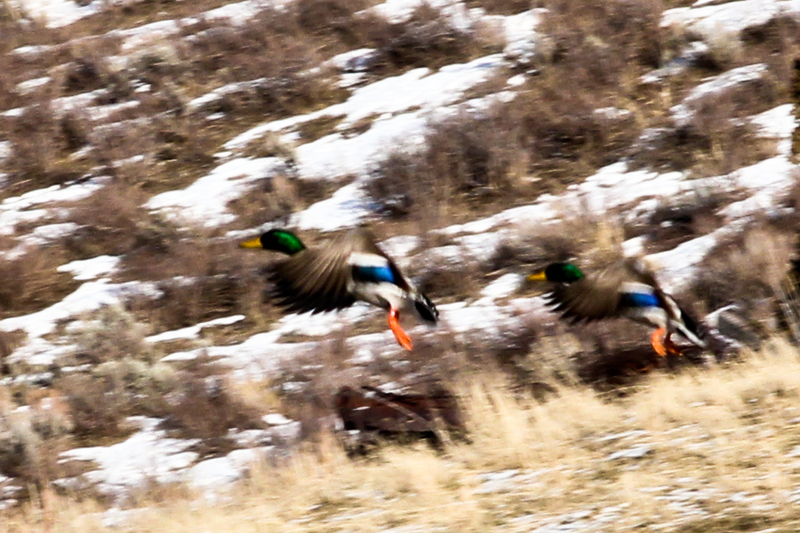 Nice way to show the motion...love the colors in these beautiful ducks! Great shot you old Duck Disturber you! 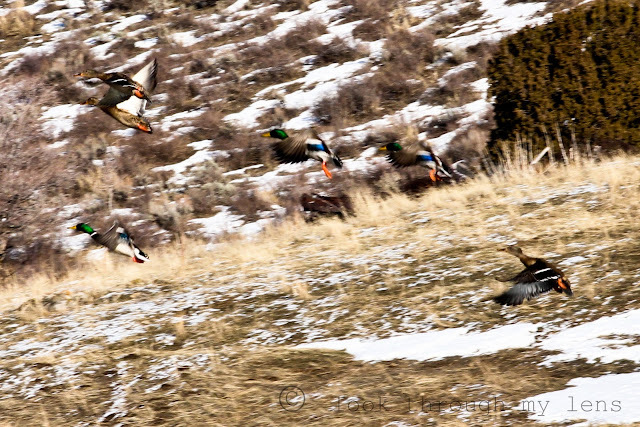 The focus on the ducks shows the motion of the flight.